Americans own a lot of stuff. You name it, we own it: huge televisions, every imaginable kitchen appliance, bins of tangled holiday decorations, lawn mowers, snow blowers, new furniture, old furniture, even OLDER furniture; it’s all collecting dust somewhere under our roof. That isn’t necessarily a bad thing though; the average American home is a little more than 2,000 square feet, and we need to fill the place, right? But what happens when all that space, becomes too much space? Over time, maintaining every facet of a home can become extremely difficult or even impossible. 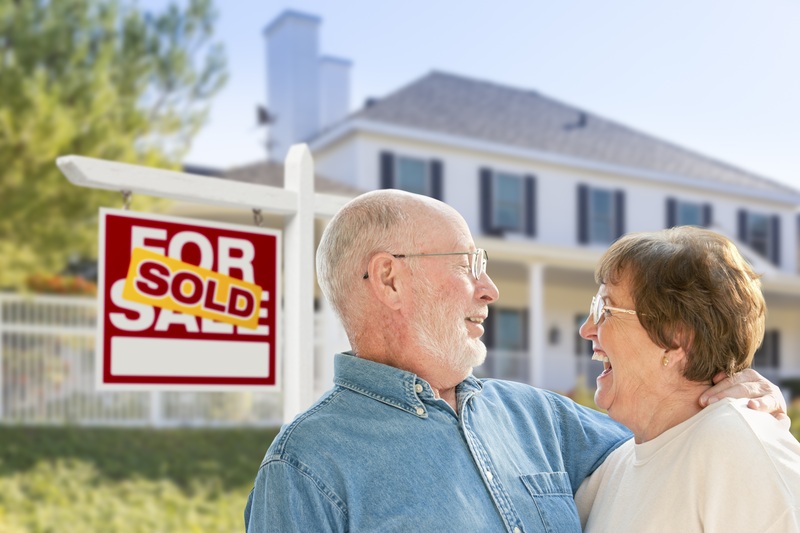 When the inevitable question arises: “Should we downsize our home?” You and your family deserve to be prepared. Let’s face it, most people would rather floss a crocodile’s teeth, or learn Swahili before they begin parting ways with their old personal treasures. That’s why television shows like Hoarders exist, millions of storage bins are rented each year, and garages, basements, sheds and closets are filled to capacity. Unless the inside of your home looks like the Collyer Brother’s, there’s no need to rush “Operation Downsize.” Instead of feeling overwhelmed, slowly but surely tackle one room at a time. You’ll be amazed at how accomplished you’ll feel after clearing out an entire closet of old ugly ties, or shoes you haven’t put on since 1996. If you plan accordingly and take your time, downsizing your life doesn’t have to be a grueling process. Get as much support as possible. Ask friends, family and neighbors to help you lug that heavy old nightstand from the dark depths of the basement. Maybe one of the helpers would like it for their home and can take it off your hands. If not, bring the unwanted furniture to a local Salvation Army or Goodwill, renting trucks can be as cheap as $20.00 a day! Garage sales can be a goldmine too. While your family is visiting, prepare some piles of their old belongings they left behind before they moved out and entered adulthood. If they want to keep their smelly Little League baseball cleats from thirty years ago, that’s fine, BUT they need to bring them home. When it comes to downsizing your home, the more help the merrier. There’s no better feeling of fulfillment than knowing you’re supporting a good cause. Goodwill, the Salvation Army and other charitable organizations support millions of Americans that are in need each year. By donating unwanted clothing and furniture, you too can provide considerable support to countless people across the country. Those jackets you haven’t worn this millennium could be used by a family that doesn’t have the means to purchase warm clothes during the winter. Why let seven lamps sit collecting dust in a corner in the garage? Donate them so a child can have enough light to do their homework. Everything in decent condition can be put to good use. When dropping off your donations, keep track of the value of each item and request a receipt from an employee. This gives you proof of your donation and allows you to file for charitable deductions on this year’s federal income tax. Donate to charity and get a tax break; it’s a win-win situation! If certain things aren’t worth saving or donating, chuck it! If you have two blenders in your cupboards, just keep one. How about all of those game boards that are missing pieces? Goodbye! That old camping tent has gotten awfully musty in the three decades since you’ve used it; it’s time to throw it out. Become familiar with your local waste and recycling center, and don’t be afraid to visit a few times. Most recycling centers have an area for “electronic waste”, so you can dispose of old computers, electronics and printers safely and responsibly. If you don’t feel like driving to the dump, rent a dumpster that gets dropped off and picked up right from your driveway. Simply step out of your front door and heave anything your heart desires into your very own dumpster. You could even convince your neighbors to chip-in and split the cost. Last but not least, after kicking “Operation Downsize” into high gear, begin brainstorming where you’d like to relocate. It’s important to see which communities fit your interests and needs. For example, The United Group of Companies, Inc., developed the SUN Program, an award-winning seven-prong model that offers residents a variety of services and activities including: Health and wellness classes, finance, legal and administrative assistance, education and lifelong learning seminars, fun and recreation, convenience and economic resources, community and friendship, safety and security. The SUN Program is available at all United Group senior housing communities and is a great option for any senior; there’s something for everyone! Now you’re ready to take a sensible approach at downsizing. It’s never too early or too late to start organizing your belongings and get a better handle on what you do and don’t need. Take your time, get support, donate or give away as much as possible and don’t hesitate to throw things out!